Oops! That page no longer exists! It seems that you have arrived at our site looking for a page that no longer exists. Apologies! However, if you are interested in locating a great sales forecasting software solution which is ideal for real-world business forecasting you have definitely come to the right place! Data Perceptions sales forecasting software solution, Prophecy™, was built from the ground upwards to deliver the most supportive and helpful multi-user forecasting solution for the real world. 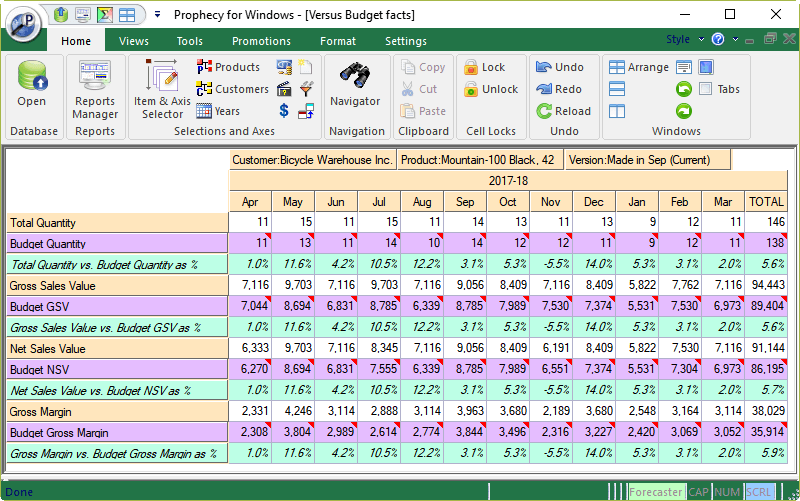 Prophecy's appearance is very similar to Microsoft Excel spreadsheets for sales forecasting, but that is where the similarities stop! Prophecy™ has numerous powerful features that are totally focussed on helping the forecaster produce and manage their sales forecasts more effectively, scales amazingly with its data stored in SQL Server databases and features completely transparent, on-the-fly consolidations. Please use the menu bars at the top and bottom of this page to access more information about Prophecy™, or call us now on the number below for a no-obligation discussion. Telephone 01494 785574 (UK) to talk to a Prophecy sales forecasting expert now!